Will We Ever Know What Happened To The Apache Kid? 10 AugWill We Ever Know What Happened To The Apache Kid? 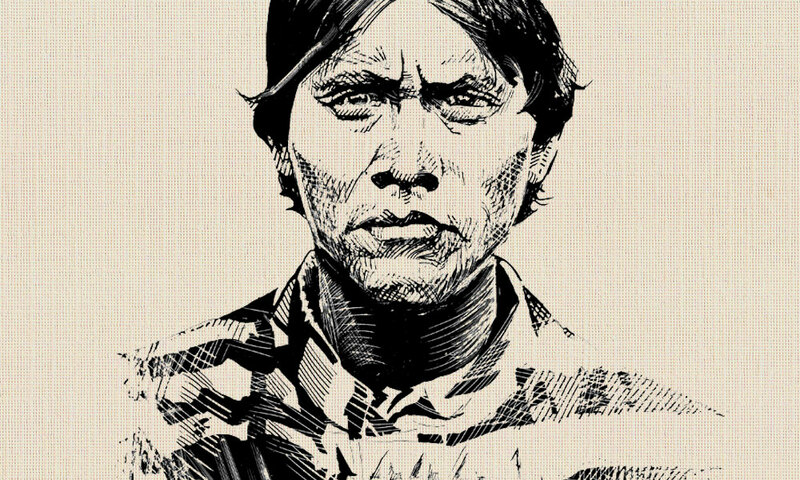 The Apache Kid is notorious in the Southwest—and especially in Globe, Arizona. He is said to have committed various crimes during his lifetime, but only a few have been confirmed to be true. One of the few photos of the Apache Kid from the Library of Congress. Arizona. The group decided to overpower the two guards and stagecoach driver in order to escape. The plan succeeded, and everybody fled. The Apache Kid was the only one who was not captured. He was never seen again. Or so it is to be believed. Sightings have been reported, but nothing was ever confirmed. Historians have tried figure out what happened after the night he escaped. Did he flee to the mountains? Was he murdered? Did he settle down, have children, and die naturally? Go through each theory and form your own opinion on the disappearance of the Apache Kid. Theory #1: He joined the “Nameless Ones” of the Sierra Madre Mountains in Mexico. There was an Apache tribe in Northern Mexico in the Sierra Madre mountain range. Since they weren’t tied down to a reservation, they were free to roam in the original Apache way of life. This theory spectates that the Apache kid fled here in the hopes of escaping to live a quiet life. Another theory about the Sierra Madre Mountains claims that the Apache Kid gathered a group of the tribesman to raid ranches and freight lines. The supposed raids were throughout Arizona; New Mexico; and Mexico. However, nothing was ever confirmed. The Apache Kid in uniform as a sergeant for the U.S. Army. Theory #2: Lead a lone wolf life while raiding farms, killing cowboys, and capturing women. 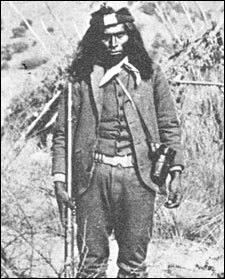 This theory states that the Apache kid was feared and hated by not just the Anglo settlers, but by various Apache tribes as well. He then lead a life on his own by using any means he could to get by. He murdered cowboys and prospectors for money, as well as raided farms for food and supplies. It is speculated that he either persuaded women to join him or captured them to keep him company on his journey. 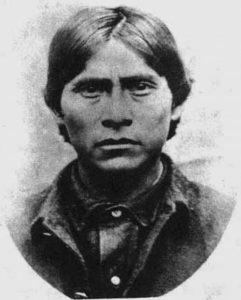 Many sightings of the Apache kid did sprout up after his disappearance that blamed him for farm raids, amongst other things. Like all other theories, none have yet to be confirmed. Theory #3: He was beheaded by a group that tracked him down in the San Mateo mountains. A group in 1907 decided to track down the Apache Kid in the San Mateo mountains because they heard of his supposed crimes. The group split up, tracked down the Kid, and beheaded him. Billy Keene is said the have been the one to finally murder him, proudly swinging the head around. There was a woman who was caught in the middle of the fight, who would later confess that the man they killed was her husband: the Apache Kid. She and her two children were taken in by another Apache tribe after everything happened. We can speculate as much as we’d like, but no one will ever really know what happened to the Kid after his disappearance in the snow. Who knows? He could have been framed for it all, and simply lead a quiet life in an Apache tribe.